Family Promise is a network of interfaith congregations which host families on a quarterly basis - providing a safe place to sleep, good food, and generous hospitality. Guests stay at a host site for a week, then move onto another host site. During the day, guests work, pursue employment, attend school, or enroll in job training. The program provides transportation to and from the host sites and the Family Center. The mission of St. Anthony Food Bank is to create within the community an atmosphere of love, caring and sharing which involves services and actions based on true commitment to the welfare of the less-fortunate and to send no one away without improving their present situation, in some way. Near the end of 2014, the opportunity came along to charter both a Cub Scout Pack and a Boy Scout Troop. 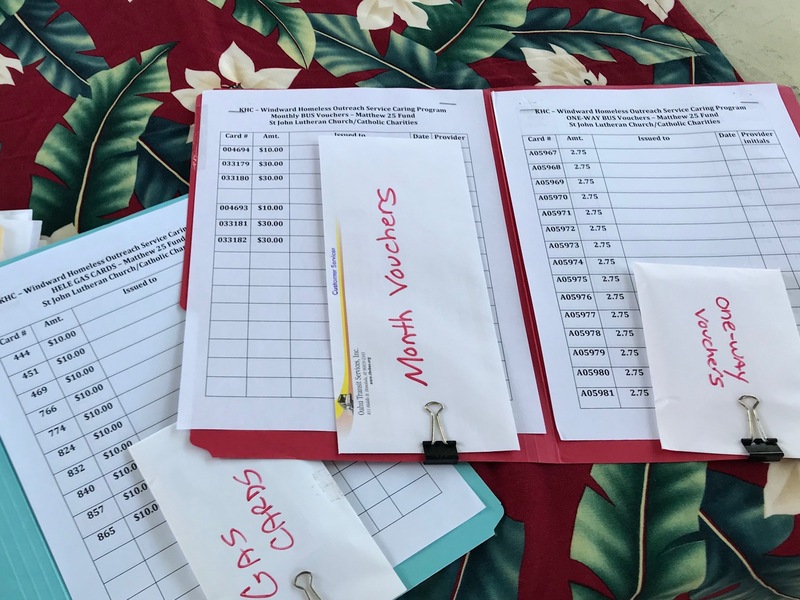 St. John jumped on the chance to extend our family into the scouting world and we now count the families of Cub Scout Pack 225 and Boy Scout Troop 425 among the St. John Ohana! The windward side churches and a few local organization have gathered together to create a center to help the homeless on the windward side. Kailua Homeless Service Care Event is on the last Tuesday of Every month 10am-12pm at Daybreak Church, 1230 Kailua Road, Kailua, HI 96734. They provide hot meals, housing applications, employment support, veteran services, care packages, healthcare & insurance applications, legal aid, assistance with ID's, vital documents and free lifeline phones.